Event: The San Francisco Chronicle Wine Competition. Result: Ledger David Cellars brings 9 medals back to the Rogue Valley including 4 for our first vintage efforts! 2011 Malbec. 2011 Dark Night. 2011 Syrah. 2012 Epitome of Three. Our first vintage of these crowd favorites medal at the 2015 San Francisco Chronicle Wine Competition. Tack on awards for 2011 Orion’s Nebula, 2013 Sauvignon blanc, 2012 Sangiovese, 2012 Cabernet franc, and 2013 Primoris Chenin blanc, too. The sheer size of the SF Chronicle Wine Competition, over 6,400 entries, is what makes it such an important measurement for our wines. The event conducts blind tastings by some of the country’s most highly regarded professionals in the wine, restaurant, travel, journalism, and academic industries. When the size of the playing field is considered, a medal at the Chronicle Competition is considered more prestigious than most others. Here’s to a great contest and inspiring results! 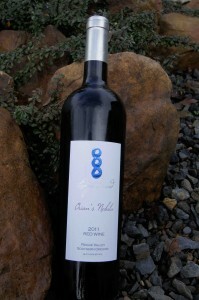 We get asked pretty regularly about the name of our flagship red blend Orion’s Nebula. How did you come up with that name? What does it mean? How does that connect to wine? Are you astronomers? In a broad sense Orion’s Nebula is a creative outlet for Ledger David Cellars just as Orion’s Nebula gives birth to new stars. We call upon our estate vineyard’s star vines to compose Orion’s Nebula as the celestial stars make up Orion. We further personalize the strength in unity of our winegrowing and winemaking efforts much like Orion is visible in both the Earth’s hemispheres. Colloquially, we call Orion’s Nebula our “Right Bank” red blend based on Cabernet franc as an ode to the great wines from St. Emilion along the Eastern bank of Bordeaux’s Dordogne river, the “Right Bank.” Our priority is a wine of elegance and authority that embodies the beauty of the night sky and the power of the warrior hunter. Bold yet sophisticated. Powerful yet refined. Orion is visible in the northern hemisphere from Fall into Spring. Besides the star Betelguese, a red supergiant whose color is apparent with the naked eye, the most immediately discernable feature of the constellation Orion is a small southeast-to-northwest line of three distinct stars referred to as Orion’s Belt. Descending from that “belt” is a second line of three stars known as the hunter’s sword. The sword’s middle star is in fact not a star at all, but a cluster of stars and gas known as Orion’s Nebula, which is actually a stellar “nursery” where new stars are born. Orion. His enormous size, supernatural strength, and cunning skill with the sword made him a legendary warrior and hunter. So much so that he was retained by Kings to rid their kingdoms of vicious beasts. His prowess led to him being in the company of the virgin goddess Diana, sister of Apollo, as a companion and friend. Upon seeing their mutual infatuation, Apollo became enraged. He sent an invulnerable scorpion to chase Orion into the sea while he taunted his sister as she strolled the shoreline that she was not his equal with the bow and arrow. He pointed out a tiny dot in the ocean that she certainly could not hit. Diana unleashed an arrow with mortal accuracy then cried incessantly as Orion’s body washed ashore later. She placed him and his sword among the stars so she might enjoy his company as she rode her chariot across the night sky. Sour cream, sliced avocado, cilantro leaves, and tortilla strips or chips for serving. Heat a 6-qt. Dutch oven over medium-high heat. Add chiles and cook, turning once, until lightly toasted, about 5 minutes. Transfer to a bowl, pour over 1 cup boiling water, and let sit until soft, about 30 minutes. Drain chiles, reserving soaking liquid, and remove stems and seeds. Transfer chiles to a blender and set aside. Return pot to heat, and add tomatoes, and onion; cook, turning as needed, until blackened all over, about 10 minutes. Transfer to blender, along with garlic, cinnamon, sugar, and cumin; puree until very smooth and set aside. Return pan to medium-high heat, and add oil. When hot, add chile purée, and fry, stirring constantly, until slightly reduced, about 10 minutes. Add stock, and bring to a boil; remove from heat, stir in chocolate, and season with salt and pepper. Serve ladled into bowls with a dollop of sour cream, a few slices of avocado, cilantro leaves and some tortilla strips.